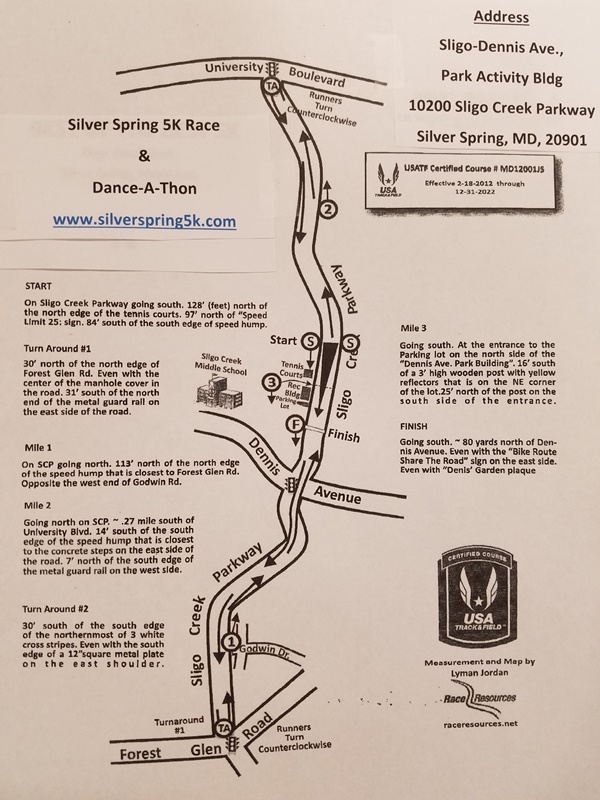 The Silver Spring 5K Race and Dance-A-Thon will take place on Sunday April 9, 2017, from 8am-11am. The event will be followed by an Award Ceremony. To sponsor this event, please contact us at silverspringdowntown@gmail.com or 301-565-8219. Proceeds from this race will benefit a local health and wellness organization that is doing great work in the local community and as well as globally. Place Order in the event's ticket purchase section. Pick up T-shirt at event or call 301-565-8219 to pick up downtown Silver Spring before the event. For those who did not register online, you will have an opportunity to register at packet pick-up and on the day of the event.